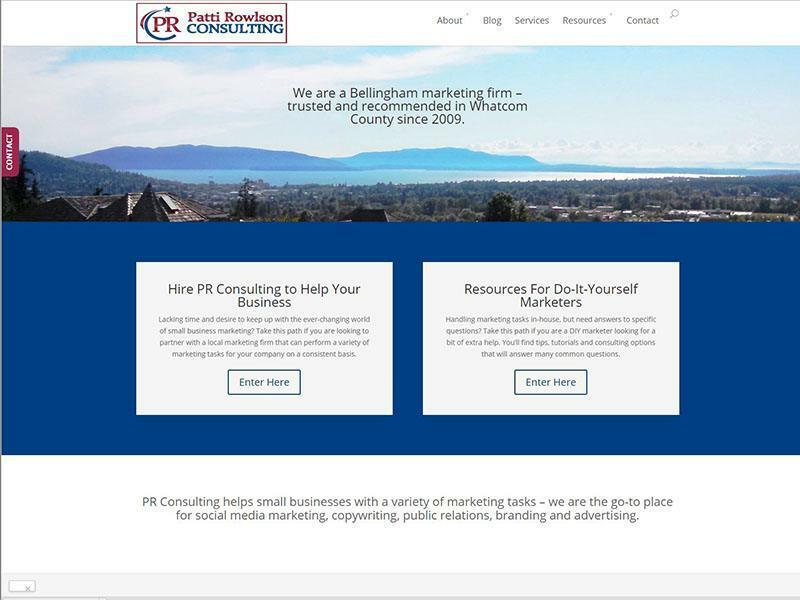 The PR Consulting project aka www.PattiRowlson.com required a complete custom website redesign for this dynamic Marketing and Public Relations firm in the Pacific North West. This Marketing and Social Network Consulting firm had a strong number one page ranking on Google so it was very important to save all the Google SEO juice from their existing website design and transfer it to their new site intact. Design requirements included a unique online consulting and billing system as well as ensuring the website design was focused on local business in Whatcom County, Washington State. This project took 45 days to compete and was competed on schedule and within budget. This Marketing and social media client now uses our services to handle the website projects for their own clients.